Pet Care - Ashland Veterinary Hostpital - the first veterinary hospital in Ashland, and continues to offer the best veterinary care available in Southern Oregon. Annual Exams: Are the most important thing an owner can do to keep their pet healthy and happy. Vaccinations: We tailor a vaccine program to the needs of the individual patient, using as few vaccines as possible to ensure protection. Puppies and kittens should start getting vaccines when they are 6-8 weeks old, and get boosters every month until they are over 16 weeks of age. After that boosters may be recommended every 1-3 years depending on the vaccine. Heartworm prevention: There is enough Heartworm disease in the Rogue Valley to warrant prevention for dogs and cats. This can be easily accomplished with a monthly chewable or topical medication. 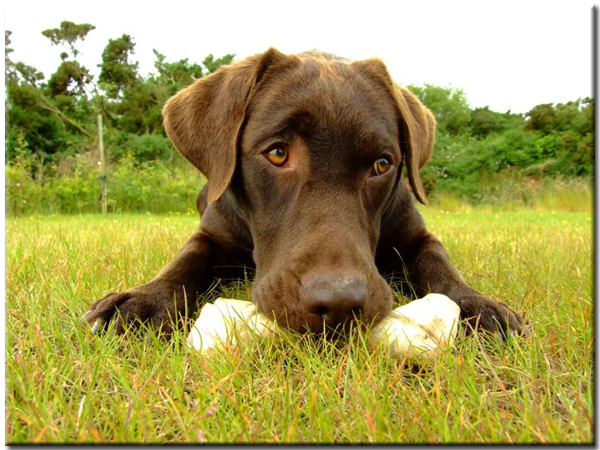 A heartworm test every two years is recommended for dogs. Diet: We are proud to be the largest distributor of Hills Science Diet and Hills Prescription Diets in our area. Hills was the first company to base their diets on sound scientific research, and they continue to put more money into research and testing than any other pet food company. While many other companies have been forced to recall their products because of contamination, Hills diets are consistently prepared in dedicated factories using the highest quality control standards. Exercise: We recommend age appropriate exercise for our canine patients. 30-60 minutes a day for young dogs at a minimum. As dogs become geriatric, exercise time should be reduced and low impact activities such as walking and swimming are preferred. Weight Control: Just like in humans, overweight pets have more health problems. And just like in humans, weight gain is a function of calories ingested verses calories burned. We use a medically based weight reduction program tailored to the individual patient to achieve weight loss in overweight patients. Dental Health: Some pets never need dental care but many do, and dental disease can impact a pet’s general health in many different ways. We include dental exams in every physical exam, and offer full dental cleaning to remove plaque and calculus and reduce periodontal disease, as well as several home care options for keeping your pet’s teeth clean.